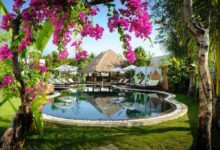 The yoga programme itself has an extensive list of inclusions including several treatments, private yoga classes and delicious and healthy meals three times a day – the perfect compliment to a relaxing yoga retreat. Kamalaya has a range of room categories from the Hillside Rooms to 2-bedroom suites and villas. All rooms are decorated simply with a natural design and have easy access to the yoga pavilion. The yoga programme at Kamalaya includes full board with delicious and healthy meals being served three times a day. Below is our guide price for staying during low season. We can also add on additional nights if you’d like to enjoy Kamalya for longer! We can also add flights within your quote if you’d like us to arrange these for you too or put together a B&B quote with just wellness classes included to keep the costs down!